This routine contents more than 20 methods of broadsword, such as hacking, chopping, uppercuting, twining, picking, thrusting, flicking up and so on. 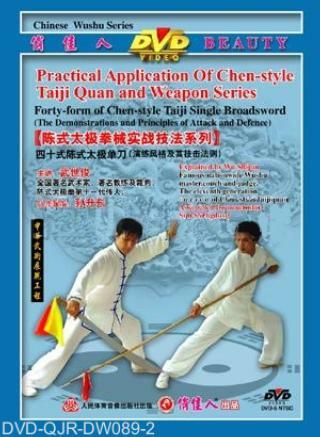 It shows the old and original methods of Taiji single broadsword routine with hardness and softness in harmony, quickness and slowness in rhythm, dodging and transfers, relaxing and nimble, springing and shaking, sticking to each other without being separated, twine to neutralize the force. It is suitable for those with Wushu basics.